As the main development direction of ICT in the future, 5G has risen to a strategic height by major countries in the world. Smart street lights will play an important role. Under the common promotion of the global industrial chain, 5G commercial time points are constantly being advanced. All major manufacturers and operators in the industry chain are racing. At present, in 2018 there had begun to carry out 5G experimental network in major cities one after another, while smart street lights commercial trials will commence on a large scale in 2019 and will begin commercial deployment in 2020. The rapid commercialization of 5G, the most direct impact is to promote the construction of macro base stations and micro base stations, and both have a significant correlation with the poles. A new generation of information and communication technologies is putting smart street lights in the overall plan. 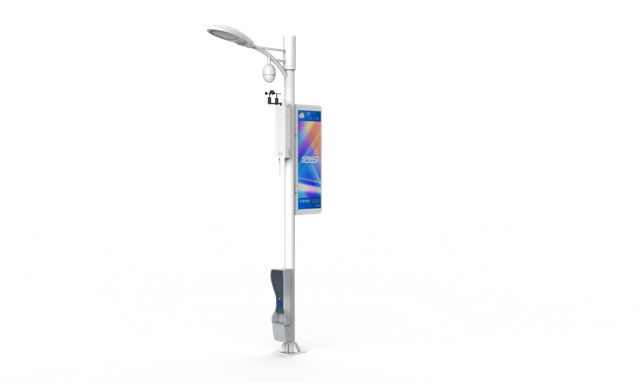 The most prominent feature of 5G deployment is that the base station is closer and the street lamp will undoubtedly become a very good choice for base station deployment. As street lights follow the city’s road, street distribution characteristics, such as blood vessels and nerves covering the body of the city, and have “net, site, rod” Trinity features, is the main carrier of the smart city, so the wisdom of street lamps will be the first site of intelligent urban renewal and the main threshold for the city to move toward the process of intelligence. In the future, smart city construction and smart street lights will take off together with cloud construction, communications infrastructure construction and macro base station construction. Today, some smart street lights have been integrated with systems such as LED lighting, smart security equipment, micro base stations, WiFi, cameras, wind monitors, temp/humidity monitors, rain monitors,PM2.5 monitors, Noise monitors, LED traffic panels, charging piles and more, bins, pit covers monitoring and more IOT integration testing equipment integrated with flow statistics, environmental monitoring, fast charging, information release, emergency linkage alarm service points, solar charging and other functions, and even shared parking, square dance nuisance, construction site noise and dust problems provide Effective solution. 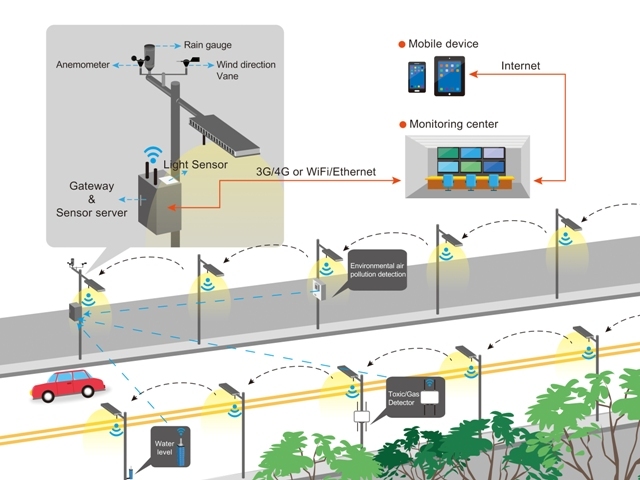 Smart street lights have been given a variety of functions. However, an ordinary WiFi router can only support 20 devices connected at the same time. The power consumption is huge, the signal becomes unstable at a little distance, the transmission speed and information are limited, and the wireless network requirement of a smart street light cannot be carried. However, with the country repeatedly confirmed that 5G commercialization will be realized in 2020, these problems of smart street lights will be solved in the 5G era. Now, 5G has not just stayed in the concept, many technical programs have gradually landed, NB-IoT (narrowband cellular Internet of Things) is undoubtedly one of the hot. It can be said, NB’s NB-IoT technology gives the street light is a complete brain intelligence, which is like to open a direct link to change the lighting level of intelligence. so that the above functions can be truly realized. With the development of science and technology, infrastructure projects that used to be unprofitable in the past are expected to benefit in the future. Smart street lights are a typical example. 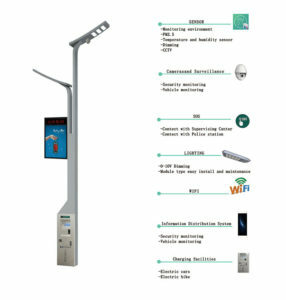 As the infrastructure construction, the traditional street light is often difficult to generate revenue, but 4G, 5G technology matures, the smart street lights poles can be installed on the signal device, and then generate revenue, this part of the proceeds can cover part of the output. 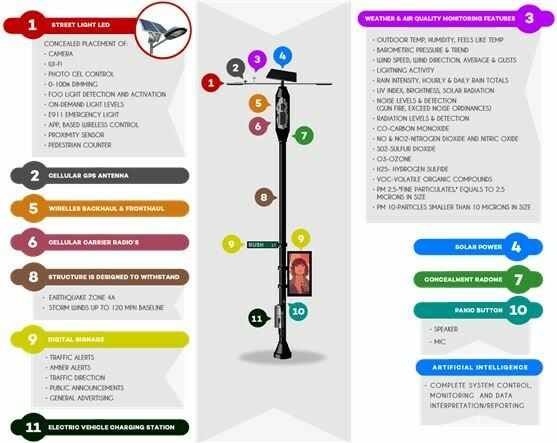 It can be said that the smart street lights are expected to become a smart city big data collection platform, as well as a new municipal management and service platform, with great value to create space, and even can form a new industry, we can temporarily call it the smart poles economy. “The construction of a smart street light system gives the traditional light poles the attributes of comprehensive utilization and operation.” Unlike most single streetlight projects adopting a single EMC mode, the business model of smart streetlights is peculiar as most of the extended applications involve a wide range of applications At present, the government and enterprises are actively exploring. Another expert analysis, smart street lights can be derived from the following several major operating modes as below table. “The particularity of the smart street lamp has also transformed the company from the original bidder of a single project to the role of general contractor.” According to the insiders. Therefore, cross-border cooperation has become more and more important. Government departments will also have higher and higher requirements for the software technology strength and the core functions provided in smart city projects. It can be inferred that enterprises which possess such core capabilities as big data and microelectronic chips, and resources and data such as electronic system integrators and smart street lights manufacturers, will be rapidly landing in 5G, PPP and smart cities Rapid growth in the next few years. Best 5 micro air quality monitoring systems What is the smart agriculture?